Its been reported that some of the Olympic opening ceremoney fireworks were faked. China is accused of faking it!!!! Why am I not surprised????? not sure it’s such a terrible thing. man responsible for the animation said he was pleased with the result. 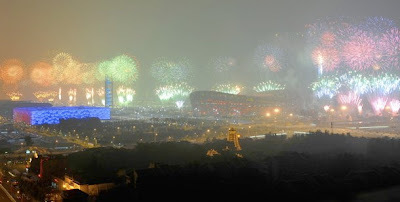 the actual fireworks,” Gao Xiaolong told the newspaper. Now something more interesting, there was a BLUE-SCREEN-OF-DEATH popularly known as BSOD. 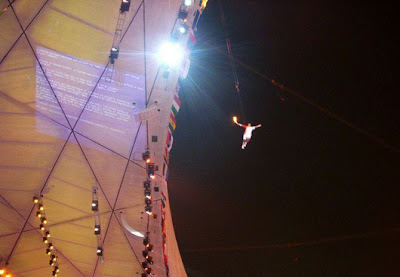 This was at the moment when Li Ning was rounding the lip of the Bird’s Nest during the amazing torch-lighting climax. One cannot say that the firework at the big event were fake one unless and until one has seen from eyes and heard from own ears…….